Far too often, we take our senior citizens for granted, or don’t show them the consideration and respect that they deserve. 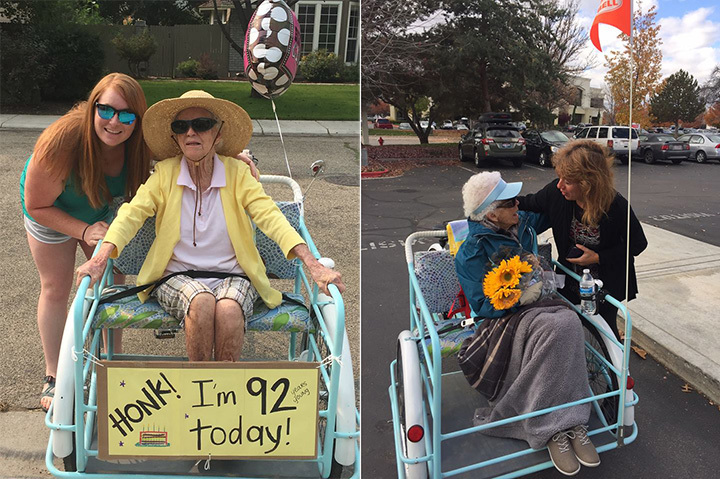 Fortunately for 92-year-old Rosemary Sorce of Boise, Idaho, she has a loving family who are still very much a part of her daily life, and who recently made a very sweet gesture for her 92nd birthday. 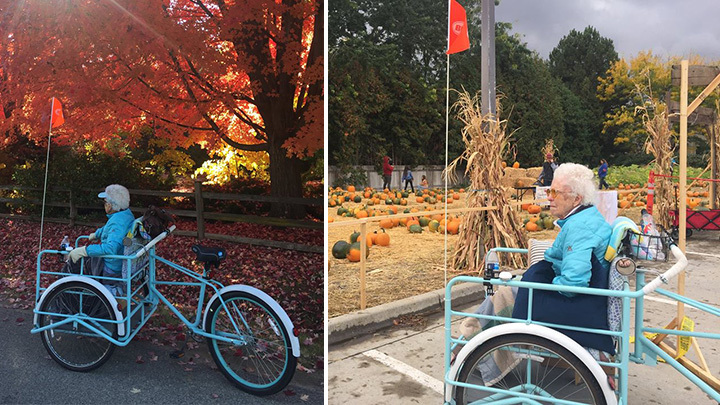 Rosemary has always loved going on bike rides, but has found it more and more difficult – and increasingly dangerous – as she gets older. Now she can zoom around town again, thanks to her family. They call it the Blessing Bike – it’s a simple cargo style bicycle retrofitted to carry Rosemary on three sturdy wheels instead of two. So, technically it’s a trike, but Blessing Bike has a nice ring to it, don’t you think? The bike has a comfortable and safe front seat, which can seat two people. It is steered from a traditional bike seat at the back, operated by another person. It means that Rosemary, and a friend of her choice, can enjoy the sights and sounds of the city without exerting too much energy, or being at the risk of falling off. 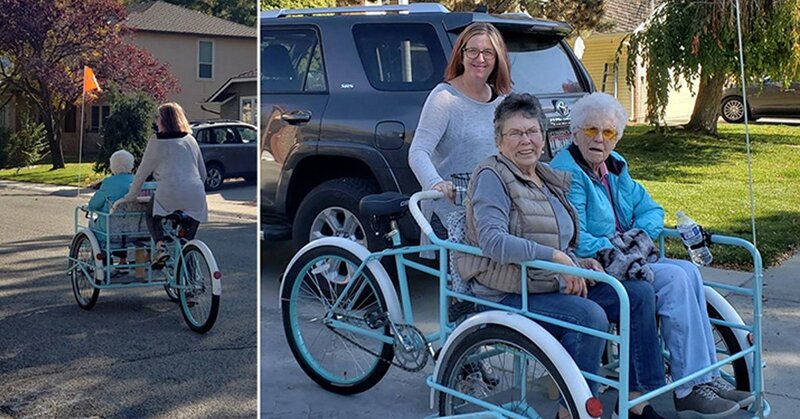 Jill and Wade bought an old rusted cargo bike on Craigslist, made the modifications as required, and repainted it in a nice coat of baby blue. They then gifted it to Rosemary for her 92nd birthday.